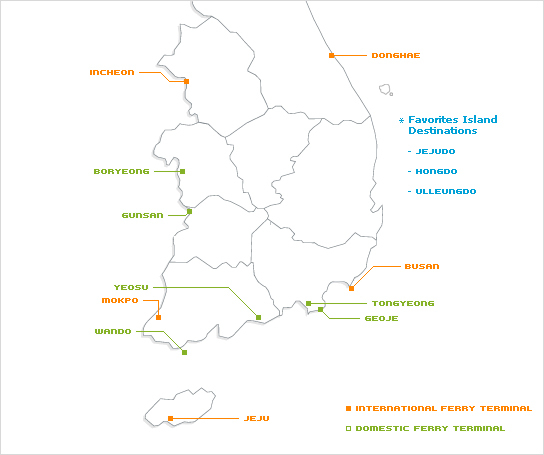 Located in Jeollanam province, Yeosu is a port city that is peppered with cliffs, islands and seafood. Calm, quiet and tranquil, Hyangilam is a buddhist heritage located on top of a mountain that offers you with a spectacular view of the Southern Coast. If you are to visit the temple, be ready to climb up a fleet of steep stairs and a narrow path between two giant rocks. There is another hiking trail on the way down from the temple that offers a closer view of the Southern Coast. The trail is a mix of gradual and steep incline which gets even more exciting at the end, where you need to manoeuvre yourself over some huge rocks to get to the top. If you are at Yeosu, do not miss out trying their traditional Jeolla cuisine dish, which is the marinated crab called Ganjang (soy sauce) Gejang or Yangnyeom (spicy sauce) Gejang. Gejang here consists of two words; ge means crab and jang means condiments. Personally, I like Ganjang Gejang more as the spice from Yangnyeom Gejang is covering up the freshness of the seafood. Look at that fresh juicy crab, which is perfect to eat with rice! You can even ask for a refill but we are doing just fine without it. The rawness and saltiness from the marination will cloy your appetite pretty fast. The restaurant that we went to is apparently quite famous for its eel dishes and was aired in of one the local shows. We ordered all the signature eel dishes: grilled salted eel, grilled marinated eel and boiled eel soup. I am not an eel lover because of the fishy smell but their grilled marinated spicy eel took me by surprise. The marination makes it tastes like pork rib! Grim Garden is a lovely guesthouse with beautiful roof top garden that is perfect for star glazing or sun rise view. It was bit of a hassle to find the place though as it is located off the main street, at the back of an alley. They have this little cosy hang out place for you to have free coffee all day and breakfast. The breakfast is pretty awesome with bread, cheese, ham, fruits, salad, cereals, milk and juice. There is also a memory board for you to leave your footprints here in South Korea.